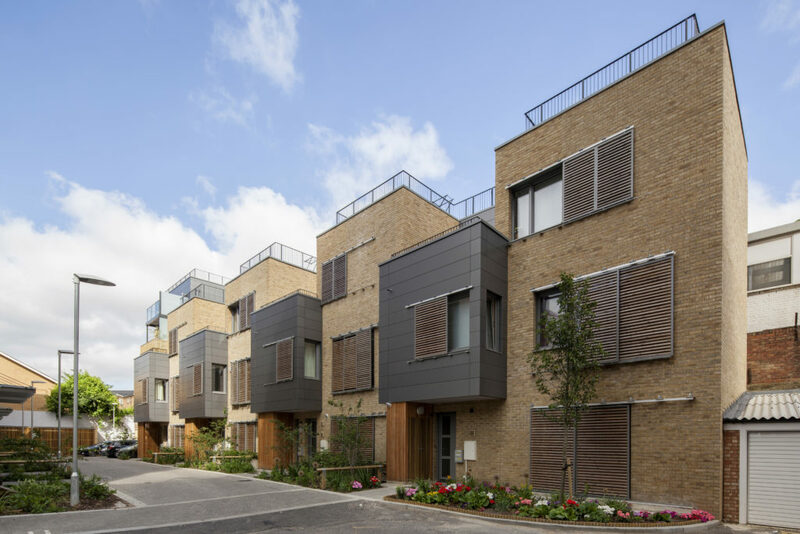 Matthew Evans of Kingspan discusses how housing developments delivered to Passivhaus standards using Structural Insulated Panels (SIPs) can help councils and housing associations help close the fuel poverty gap. Government forecasts suggest that the average fuel poverty gap in England is set to widen by 9% in 2018. This change has been driven by rising energy costs, with Ofgem announcing in August that even its safeguard tariff was set to be increased by £47 this year. Local authorities and housing associations have an important role to play in safeguarding tenants from the potentially dangerous results of these fluctuations in energy costs. One of the most effective ways to address this issue when constructing new homes is by improving the fabric performance of the buildings. In recognition of this, a growing number of public and private developers are now looking to take advantage of the benefits of offsite construction methods, such as Structural Insulated Panels (SIPs), to construct estates to the demanding Passivhaus Standard. One of the primary performance criteria for the Passivhaus Standard is that space heating or cooling demand must not exceed 15kW.h/m2/year — a fraction of typical household usage, which is estimated to be around 140kW.h/m2/year. To make this possible, the outer building envelope must be both highly insulated and airtight. The ground floor, external walls and roof of Passivhaus properties typically must be constructed with a U-value of 0.15W/m2.K or lower. Close attention to detailing is crucial when designing the structure to ensure that potential thermal bridges around openings and other junctions are properly addressed. In addition, air leakage rates must also be no higher than 0.6m3/hour/m2 at 50 Pa. The Kingspan TEK Building System is comprised of 142 or 172mm SIPs. Good ventilation is essential at these levels of airtightness, and this is typically achieved through use of mechanical ventilation with heat recovery (MVHR) systems. MVHR systems use the heat from outgoing stale air to warm incoming fresh air, further reducing the heating demand and ensuring a fresh, comfortable environment within the home. This highly insulated and airtight design allows Passivhaus properties to be kept warm in winter with a towel rail as the only conventional source of heating. A study of the Wimbish Passivhaus estate in 2014 revealed average annual gas bills of around £130 for the estate’s three-bed homes compared with a national average of between £721-794 in England and Wales for the same period. Subsequent monitoring over a five-year period revealed heating bills have remained low. In addition to saving occupiers money, the constant flow of fresh air within Passivhaus properties also helps to safeguard their health and wellbeing. The airtight design, including triple-glazed windows, also minimises noise intrusion when the windows are closed creating a calm internal environment. Whilst it is possible to achieve Passivhaus certification with traditional construction methods, they do not lend themselves naturally to the demanding fabric performance requirements of the standard. In many cases offsite construction approaches such as SIPs can provide a simpler, faster and more adaptable means of achieving Passivhaus certification. A typical SIP comprises an insulated core sandwiched between two layers of oriented strand board (OSB). The panels are precision cut to each project’s particular specifications in a production facility, including spaces for openings such as windows and doors. This ensures an accurate fit, significantly reducing the need for onsite adjustments and waste. It also gives architects considerable freedom in determining the design for the property. 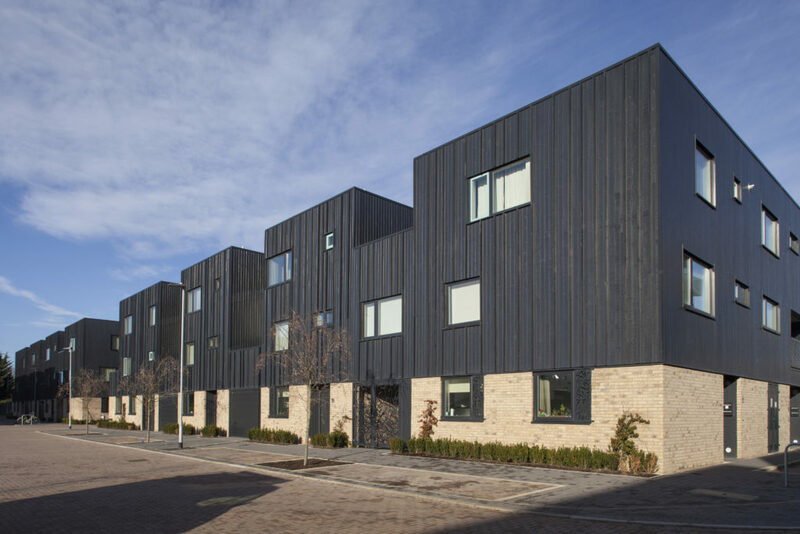 The Kingspan TEK Building System and Kingspan TEK Cladding Panels were installed on part of London’s largest Passivhaus certified development, Greenhauses. The panels offer excellent ‘out-of-the-box’ fabric performance with whole wall and roof U-values of 0.20 – 0.17 W/m2.K, or better. This performance can be easily improved to the levels required of Passivhaus buildings with the addition of a slim layer of premium performance insulation such as the latest generation of rigid phenolic insulation boards which can achieve thermal conductivities as low as 0.018 W/m.K. Their jointing system ensures excellent insulation continuity throughout the envelope, limiting thermal bridging. The jointing arrangements inherent in SIPs can also support extremely airtight structures, with air-leakage rates as good as 1m3/hour/m2 at 50 Pa. Once an airtight membrane is fitted internal and tape is applied to junctions, this rate can be reduced even further to the 0.6 m3/hour/m2 at 50 Pa required by the Passivhaus Standard. SIPs also provide a number of practical benefits. Their offsite production process supports greater predictability in scheduling, allowing project teams to accurately plan for panel deliveries to avoid trade overlaps and maximise site efficiency. The panels can be quickly installed by a small team of trained operatives with a dry construction process that is much less dependent on weather conditions than other traditional approaches. When SIPs are used for both the walls and roof, the outer shell of domestic properties can often be erected in just two to three weeks. With the addition of a breather membrane to the panel exteriors, the construction is made weathertight — allowing internal fit-out to begin. The outer timber facing also provides a suitable substrate for a variety of cladding options including brick slips, render and timber cladding. 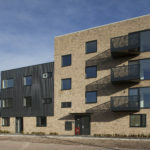 The Passivhaus Standard is growing increasingly popular in the UK with over 1,500 properties currently being constructed including a number of housing association developments. Evidence from rental properties has shown that by reducing energy bills Passivhaus buildings not only protect tenants from fuel poverty, but can also significantly reduce rent arrears. SIPs offer a scalable, fast-track option to achieve its demanding fabric requirements without compromising design flexibility.